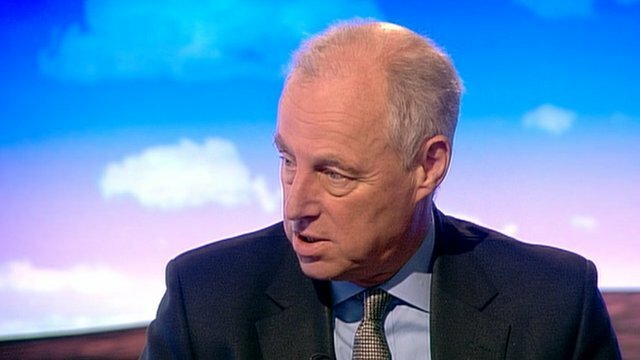 Tim Yeo, who is a former Conservative environment minister in John Major’s government, is calling on the government to drop its opposition to a 3rd Heathrow runway. Tim Yeo is now chairman of the parliamentary energy and climate change committee, said the inclusion of aviaiton into the EU ETS meant it would not lead to an increase in emissions. Mr Yeo thinks it is more practical to build a 3rd runway at Heathrow, rather than an estuary airport – which is in the wrong place, and for which the costs are unquantifiable. Yeo backs the line that Britain must have a “world class transport infrastructure” if it was to be “a world class economy in the 21st Century”. A former Conservative environment minister is calling on the government to drop its opposition to a third runway at Heathrow Airport. Tim Yeo, chairman of the energy and climate change committee, said new EU rules on aviation meant it would not lead to an increase in emissions. The coalition scrapped Labour’s plans for a third runway at Heathrow when it came to power. It followed widespread opposition from councils, residents and green groups. It also ruled out any additional runways at Gatwick and Stansted. A consultation on UK aviation policy is considering whether a new airport, partially built on reclaimed land in the Thames Estuary, could be feasible. That is also opposed by environmental groups and local councils. But Mr Yeo, who was a minister for countryside and environment in John Major’s government, told BBC Two’s Daily Politics: “I think it’s more practical to build a third runway. He said Britain must have a “world class transport infrastructure” if it was to be “a world class economy in the 21st Century”. Mr Yeo said new rules which require any airline that lands or takes off within the EU to take part in its emissions trading scheme gave “cover for change in the coalition’s position”. The new rule, which came into force in January, means that all airlines have to add up greenhouse gas emissions from flights that begin or end at EU airports, and must pay a small charge, or trade carbon permits on the EU emission trading scheme, if they exceed their allowance. Business groups and trade unions have also recently urged the government to to support airport expansion, including at Heathrow, in an effort to boost the UK’s economic recovery. Airport operator BAA has also launched a poster campaign on London’s Tube. But Transport Secretary Justine Greening has said she would not reconsider a third runway at Heathrow, and Labour has also said it is “off the agenda”. In May 2010, the previous Labour government’s plans for a third runway and sixth terminal at Heathrow were scrapped when the coalition government took office. BAA withdrew its plans for a second runway at Stansted at the same time and any expansion of Gatwick before 2019 has also been ruled out. The Conservatives and Lib Dems had both opposed the plan in opposition, preferring improved rail links instead. Posted: Tuesday, March 13th, 2012. Filed in General News, News about Airports, Recent News.